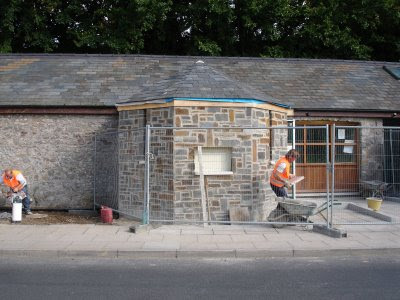 This addition to an existing building in the Conservation Area has been built with Carboniferous Limestone according to Pembrokeshire County Council. I rather think it is Pennant Stone applied as vertical crazy paving. Who is incompetent or do they not know the difference. 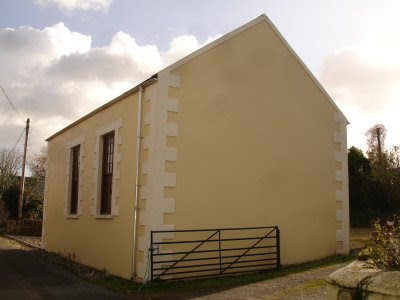 This building has been conserved and converted into a retail shop and cafe by Pembrokeshire County Council using public funds. 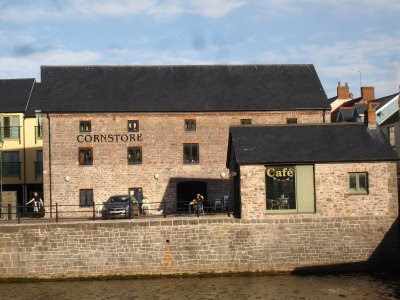 It has been sold to the occupier for £365,000, less than one fifth of the public money spent on the building. 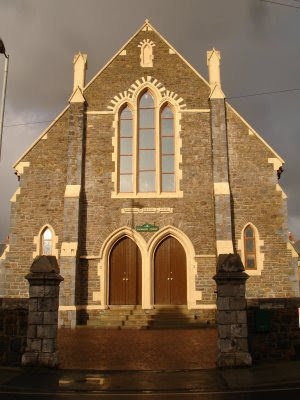 First of three ecclesiastical buildings all worthy of an Award. All very different. Neyland a very large building convereted into five large appartments. Manorbier a small village centre ruin on a waterlogged site. Rebuilt to a very modern high finish. 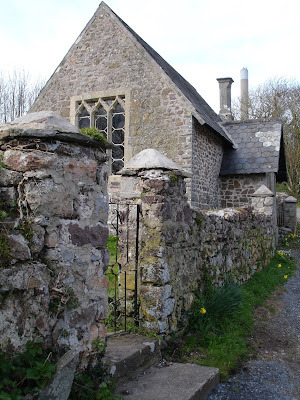 The School Room Rhoscrowther is in the entail of St Decumanus's Church Rhoscrowther. 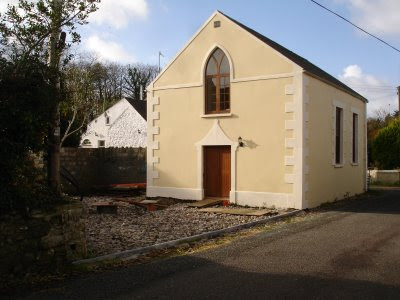 Built in 1830 abandonned in standing water. Extensive ground works for drainage complete repoint reroof, rain water goods. Interior made good and fitted with free standing mezzanine using very high quality materials with great attention to detail. Total different, this derelict School Room Built 1851 has been repaired not renovated, using materials collected over the years from demolition sites and skips. Paints salvaged, ironwork, recut slates, lime mortar, real stone, internal floorboards repaired not replaced plasterwork repaired not replaced real light fittings switches iron work window frames original glass. A magnificent example of repair and reuse, it is Grade Two listed but is now up for sale. 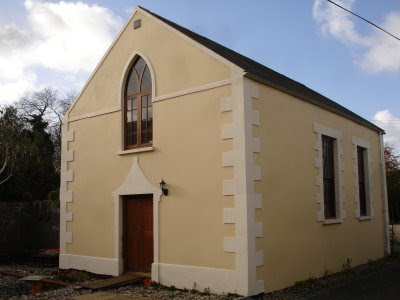 On of three Chapels to be considered for the CPRW Award. Built in 1865 now renamed Gambion Court. 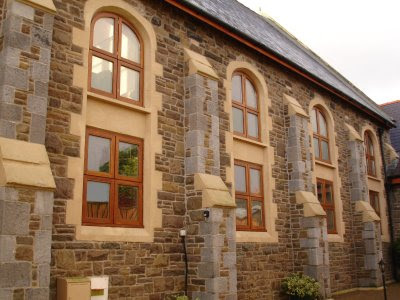 The building was derelict,the exterior has been sandblasted all stone replaced with identical stone rainwater goods repaired with new cast ironwork from Germany. Completely repointed . The interior has been converted into five luxury apartments, several with grand rooms. Three and five bed apartments, respecting the original structure and maintaining the distinctive features. The internal work has paid great attention to soundproofing, isolating the five apartments by double cavity walls all load bearing structures which are common are mounted in sound absorbing material. The solid floors are very thick with applied sound insulation. The work is to the very highest standard all wood work has been repaired doors windows etc have been made from new to the original, with use of Welsh Oak and iroko, pitch pine where possible. 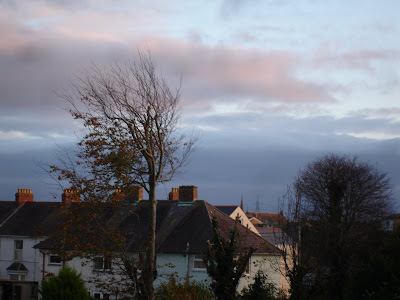 When the Council Houses were built the architect laid out the estate to keep the hedgerow trees as much as possible,these added to the surroundings. Richard Staden refused to place aTree Preservation Order on these trees as "they were on private property" those still in PCC ownership "need no protection as PCC is a responsible authority". In the last year most have been felled others have been mutilated. So much for protection ,there is no reason for employing a Tree Protection Officer by PCC.